Summer is upon us, and it’s time to celebrate with the fourth annual BIT Summer Garden Party! 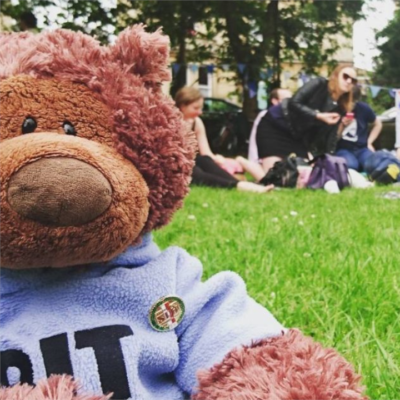 For the last three years we’ve been rewarding ourselves for making it halfway through the year with a pot-luck picnic in the glorious sunshine and beautiful surroundings of Victoria Square Gardens, just around the corner from our theatre space. Come join us for food, fun and (hopefully) sun in the great outdoors! Bring a plate, we’ll supply blankets and bunting. Plus, if you want to get creative and artistic, come at the beginning to help us paint a beautiful banner for the event! Knowing not to trust the weather as far as we can throw it, we have a backup plan. If we get rained off, we will have an indoor picnic in the BIT’s Theatre space.